"Just a basic smoothie that uses your basic fruits. If you wish, you may omit the tofu." 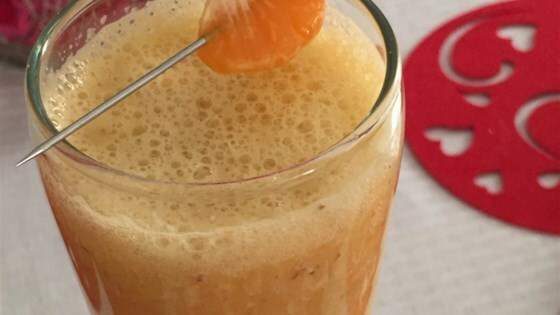 In a blender, combine mandarin oranges, banana, apple and tofu. Pour in orange juice. Blend until smooth. Pour into glasses and serve.